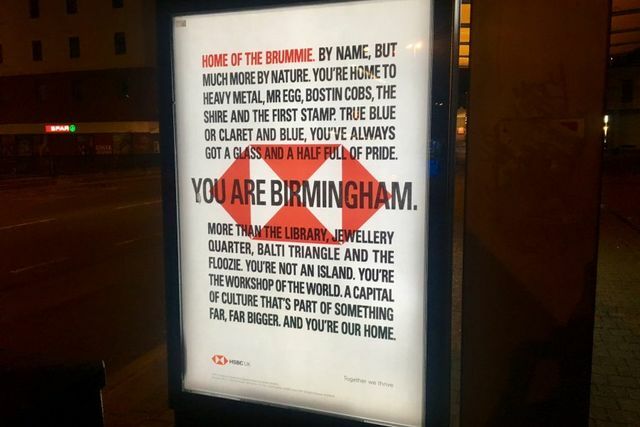 I was walking in freezing temperatures to the train station after a long day in the office and was confronted with a large billboard advertising HSBC's latest campaign. I normally wouldn't pay any attention to the billboard but this really caught my attention and not only that it gave me a sense of pride in where I am from and what my small part of the world has contributed to. I was shocked to later find out that the "We are not an island" campaign has divided opinion and has been branded "anti-brexit propaganda". Maybe this is what HSBC intended - there is no such thing as bad publicity! I however believe this is a clever and well timed piece of advertisement, and in the age of targeted advertisement would welcome more campaigns like this. On the principle that there is no such thing as bad publicity, the banking group HSBC may feel that the lively reception to its new adverts can only be a good thing.